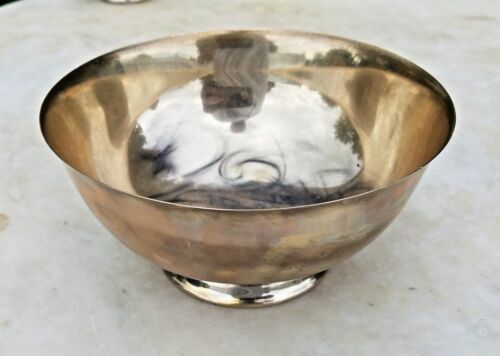 Buy: $260.0 Heavy Dominik & Haff Revere Repro 7 3/4 x 3 3/4 Sterling silver bowl 18 troy oz. 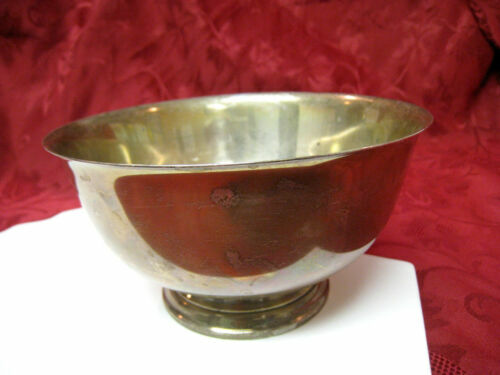 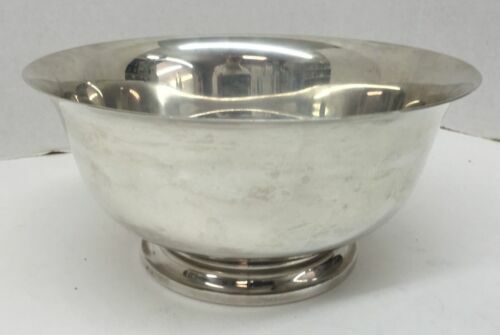 $210.0 ESTATE REED & BARTON PAUL REVERE REPRO X406 STERLING SILVER FOOTED BOWL-6.5"
$475.0 Tiffany & Co sterling silver footed Paul Revere Bowl, # 23617, 524 Grams, 7.75"
$229.0 Antique Tiffany & Co Sterling Silver Paul Revere Bowl Dish Makers 19054 Size 4"
Buy: $129.0 Vintage Cartier Paul Revere Reproduction Sterling 5 inch Bowl 1227A Mono "M"
$149.0 Vintage Sterling Silver Paul Revere Reproduction Cartier Candy Bowl 5"
$269.99 Vintage LUNT Sterling 621-D Paul Revere Reproduction c.1768 Milk Pitcher, 3-1/2"
$295.0 Reproduction Paul Revere Bowl by Manchester Sterling 327 Grams! 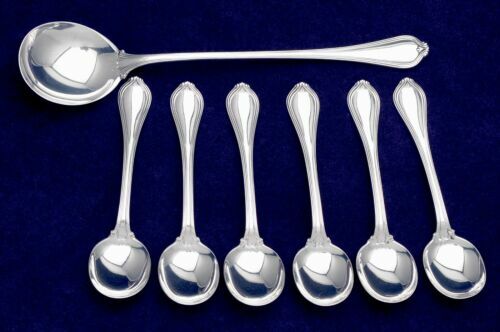 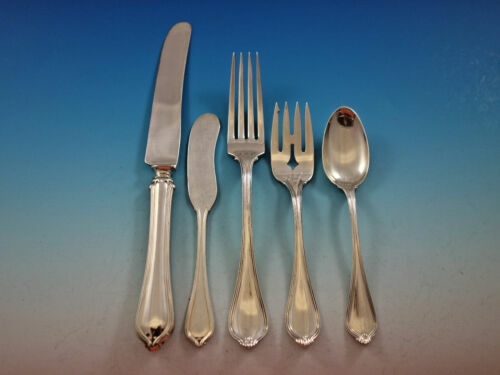 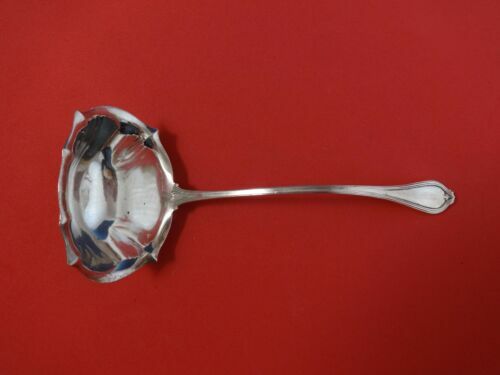 $209.0 Paul Revere by Towle Sterling Silver Bouillon Ladle 7 3/4"
$495.0 GORHAM~ Sterling Silver Paul Revere Reproduction Bowl 41657 Approx. 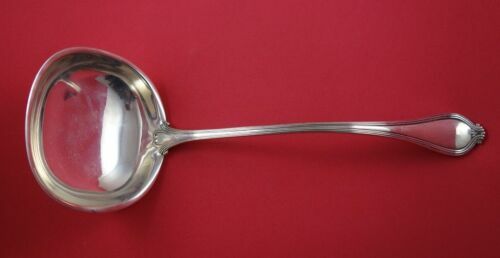 240 Grams .